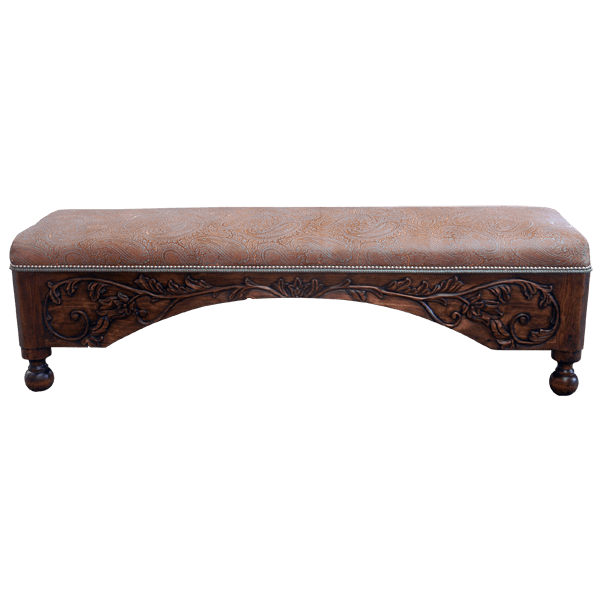 Perfect for an entryway, hallway, or at the foot of your bed, this handcrafted, Spanish colonial style bench is full of marvelous details. 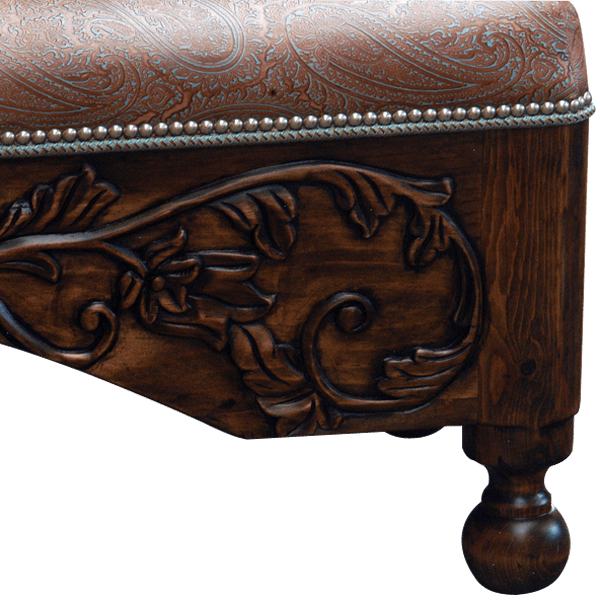 The bench has an ornate, curved, Spanish colonial style, front apron, and the apron is adorned with exquisite, hand carved, floral and scroll details. These lovely, hand carved, floral details are repeated on the lateral sides of the bench. A dark, hand braided, leather cord runs through the entire top of the apron. 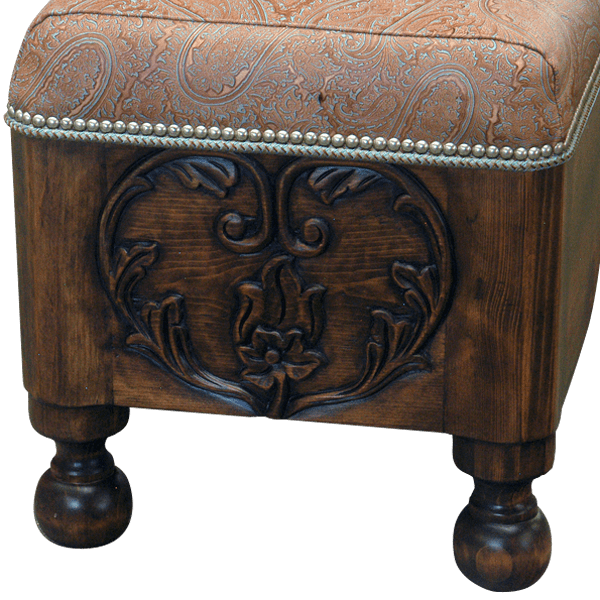 The well padded seat is upholstered with rich, brown patterned, full grain leather, and the upholstery is hand tacked to the wood frame with decorative, silver nails. The bench is supported by graceful, hand turned feet, and the bench is designed without a back. It has a classic finish, and it is made with the best, sustainable, solid wood available. The bench is 100% customizable.